Yossi Milo Gallery is pleased to announce an exhibition of color photographs by Kelli Connell from the series Double Life . The exhibition will open on Thursday, April 19 and close on Saturday, June 2, with a reception for the artist on Thursday, April 19 from 6:00 to 8:00 pm. This will be Ms. Connell’s first solo show in New York. 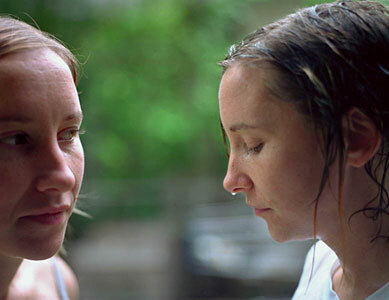 Kelli Connell's series, Double Life , appears to document an evolving relationship between two women. To create a constructed reality, the artist digitally combines multiple negatives of the same model, who portrays each character in the various scenarios, changing her body language and clothing for the given role. By using a single model to enact multiple roles, the artist explores the complexity of shifting identities within intimate relationships. Described by the artist as an autobiographical questioning, the work represents Ms. Connell’s investigation of identity, sexuality, and gender. The photographs’ private moments of passion, conflict and repose, express both interpretations of observed situations and actual moments from the artist’s life. Through these staged encounters, Double Life explores the duality of “self”: of the exterior and interior, the masculine and feminine, the rational and irrational. Ms. Connell’s first monograph, Double Life , was published in 2006 by Aperture Foundation in collaboration with the Museum of Contemporary Photography as part of a three-volume set entitled, MP3: Midwest Photographers Publication Project . Her work has been exhibited in a solo show at the Columbus Museum of Art, as well as The Dallas Center for Contemporary Art and the Museum of Contemporary Photography. Ms. Connell’s work is included in the collections of the Los Angeles County Museum of Art; the Columbus Museum of Art; and the Museum of Fine Arts, Houston. Kelli Connell, born in Oklahoma City in 1974, currently resides and teaches in Ohio.